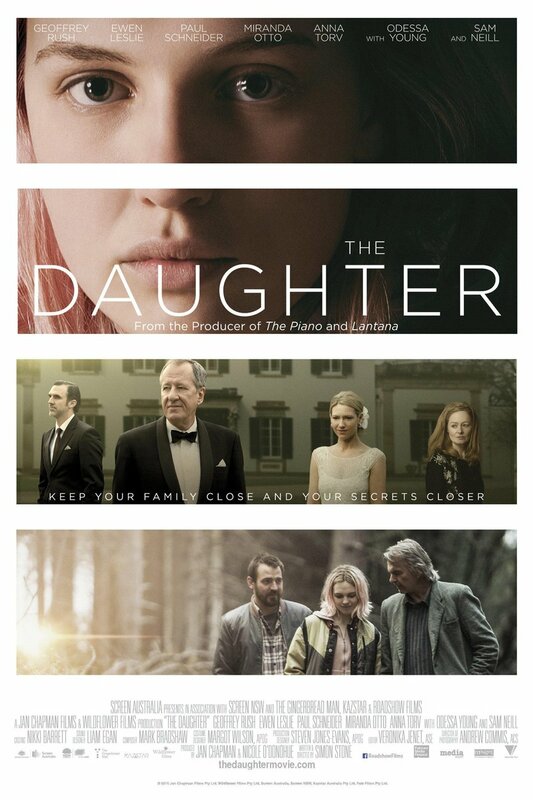 The Daughter DVD and Blu-ray release date was set for April 25, 2017 and available on Digital HD from Amazon Video and iTunes on March 14, 2017. Returning to a logging town that has seen better days, a man attempts to make amends for the way he has treated the people in his life. However, the ghosts of the past are stronger than they seem at first. Although the trip home is ostensibly to attend his father's wedding to a much younger woman, it seems as if secrets are swirling around at every turn. And it seems as if these secrets have the chance to destroy the carefully constructed reality of every person present.